Trout Unlimited has extensive experience implementing on-the-ground projects to clean up abandoned mines that informs our advocacy for policies and legislation that help organizations like ours address abandoned mine pollution. Good Samaritan legislation could make a big difference in the types of projects that our Abandoned Mine Lands Program can tackle and increase our chances of addressing some of the biggest impacts and threats. Changes to the 1872 Mining Law could protect the places that we restore and provide a potential funding source for abandoned mine cleanups through a hard rock mining royalty system. We have the technology to clean up many abandoned mines and their toxic legacy. 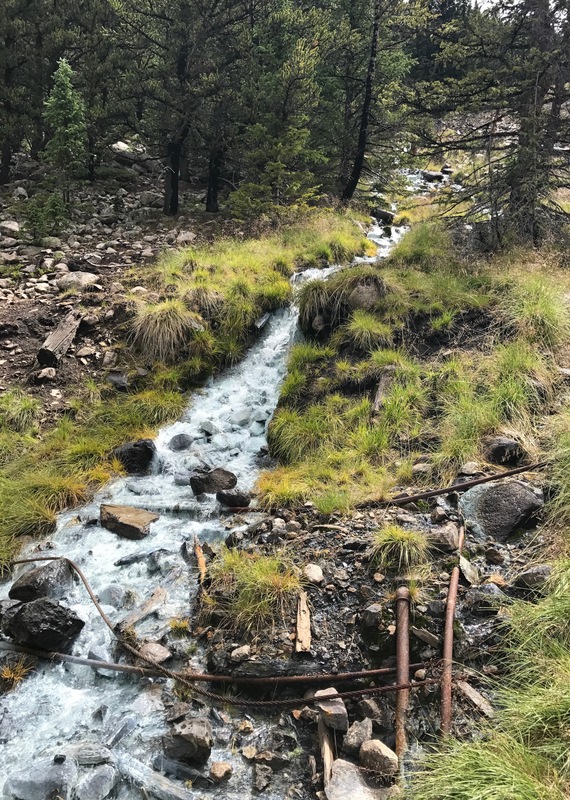 Scores of successful habitat cleanup projects have been completed, but efforts to address actual mine water discharge with some type of treatment system have been prevented by liability concerns. That’s where Good Samaritan (Good Sam) legislation can help. There are two categories of mine-related water quality problems: non-point-source and point-source pollution. The laws governing their potential cleanup efforts differ. Non-point-source pollution is when surface water (example: a creek) and/or precipitation such as rain and snow intermingle with a mine’s waste rock pile. This is considered runoff from soil and usually does not require a discharge permit under the Clean Water Act. It does, however, fall under the purview of the federal Comprehensive Environmental Response, Compensation, and Liability Act (CERCLA) – also known as Superfund. Under this law any entity that releases hazardous waste becomes liable – even if that release is associated with a cleanup action that improves conditions over the long term. Mine adit drainage runs blue-white from aluminum and zinc. TU worked with EPA in 2006 to develop a tool that protects organizations that pursue these types of cleanups, called an Administrative Order on Consent (AOC). While useful, the tool requires case-by-case detailed negotiations and is time and resource intensive. Good Samaritan legislation would alleviate the need for AOCs and streamline abandoned mine cleanup projects significantly. Point-source pollution occurs when acidic water discharges directly from an adit (the mine portal into the mountain) and the inner mine workings. These discharges contain metals that are some of the biggest contributors to water quality impairments. Treating the toxic water requires a discharge permit under the Clean Water Act, in addition to CERCLA compliance. This adds a significant additional liability. Under the Clean Water Act, any entity that constructs a water treatment system (even flow-through systems like settling ponds or bioreactors) becomes liable for the acid mine discharge in perpetuity. The current laws aren’t enough to shield well-intended groups from potentially devastating financial responsibility for future pollution generated from the sites. Most non-government organizations lack adequate long-term funding commitments to pay for the perpetual costs associated with permit compliance plus operating and maintaining a water treatment system. Even many state and federal agencies will not take on this responsibility because they cannot commit a long-term budget for operation and maintenance. These obstacles could be resolved through the Good Samaritan legislation that Trout Unlimited supports. The following short video tells the story of the Animas River, the efforts to clean up abandoned mines, and how Good Samaritan legislation can help.